Fly a visible reminder of your commitment to the armed forces. 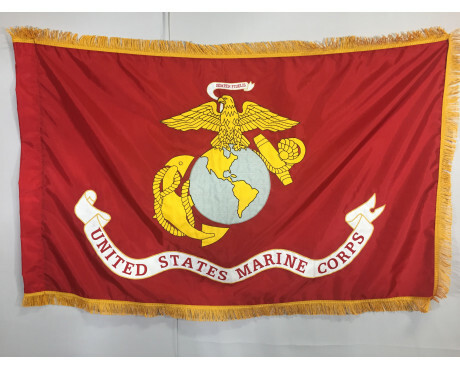 A military flag is a traditional way to express patriotism and pride. 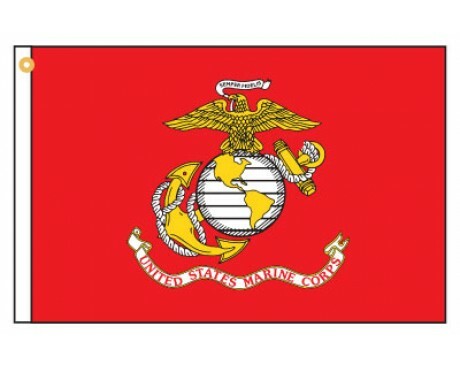 We have flags for all the branches of military service. 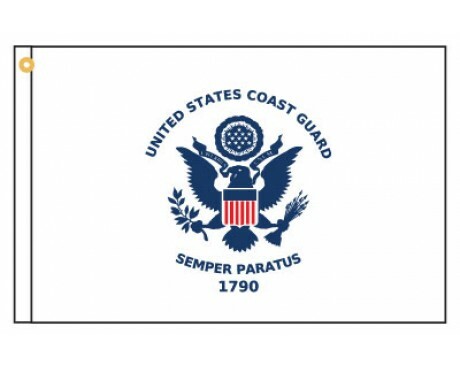 We can also customize flags to show support for a particular service person. 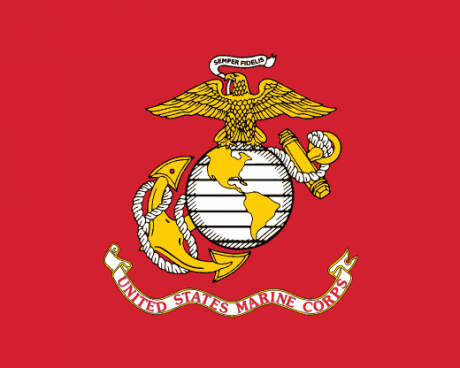 Each branch of the United States Military has its own official flag. 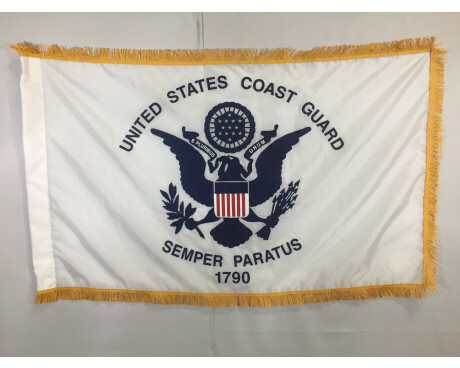 In addition to the Air Force, Army, Coast Guard, Navy and Marine Corps flags, Gettysburg Flag Works also offers the Merchant Marine flag . 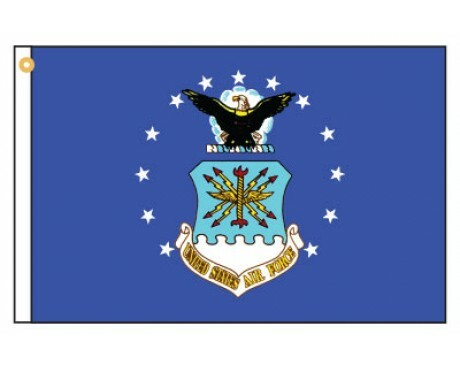 Each branch of the military also has large units with their own official military flags. 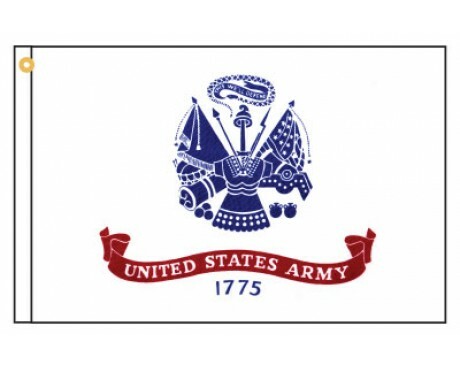 We keep in stock several of these unit military flags. 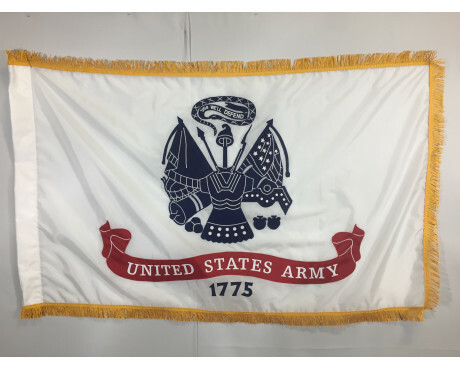 Army Engineer , retired Army and Army National Guard flags are available with our collection of US Army flags. 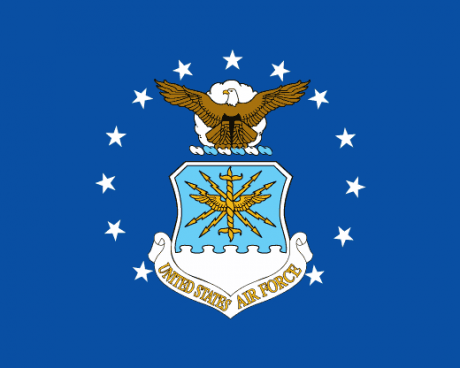 The Air National Guard has their own flag, which we've included in our selection of Air Force flags. 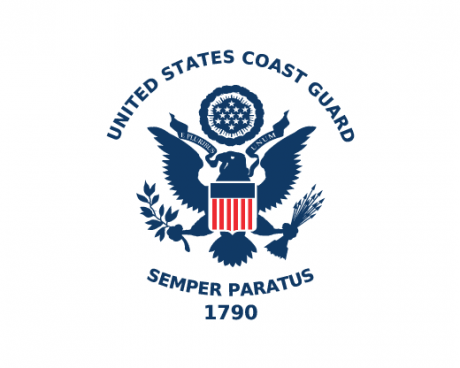 The Coast Guard flags include Coast Guard Auxiliary flags and Coast Guard Retired flags . 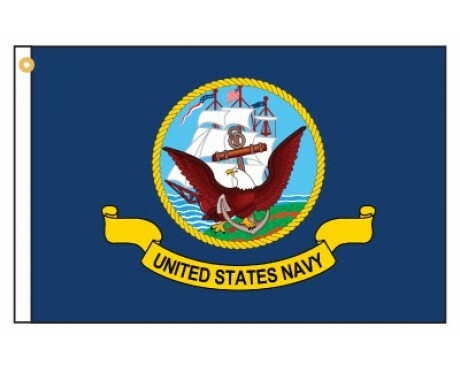 Navy and Marine Corps flags each have their own category with related retired military flags in each section. 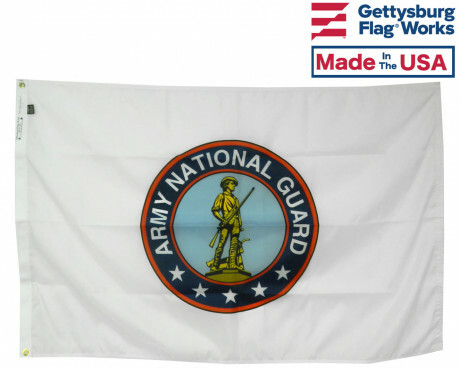 Officers flags are also available at Gettysburg Flag Works in several sizes, including mini desk flags, and larger fringed office flags. 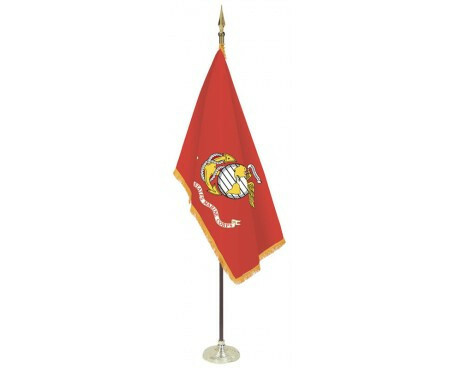 We have supplied flags and beautiful hand crafted wooden floor stands to several generals for their offices. 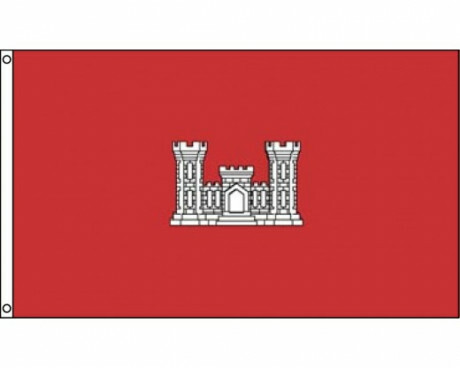 Gettysburg Flag Works is your source for military flags for individual units and conflicts. 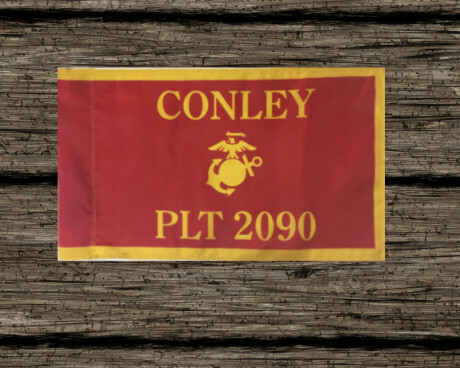 Unit flags include 101st Airborne, Blue Angels, 82nd Airborne, 1st Cavalry Division, Seabees, Thunderbirds, Navy Seals, 173rd Airborne Brigade and 196th Light Infantry Brigade. 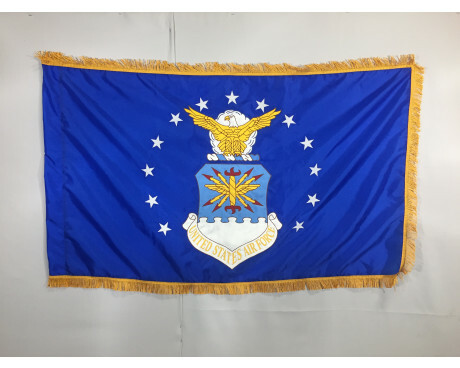 If you don't find the military flag that you are looking for, Gettysburg Flag Works can expertly make your special flag to order. The service star flag isn't an official military flag, but Gettysburg Flag Works feels it is important to also recognize the family of our service members. 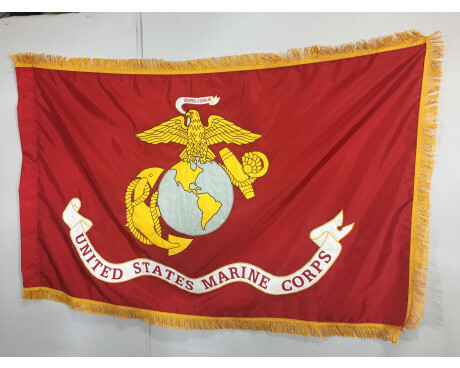 Since many of our staff members have family members serving in the US Military, this flag is close to our hearts. It is designed to honor our family members serving with a blue star, and those who have died in the line of duty with a gold star. 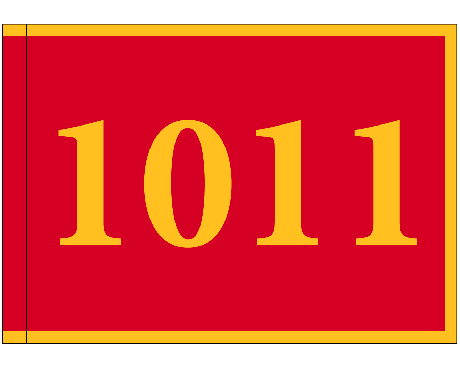 This is the same symbol used by the Gold Star Mothers organization. 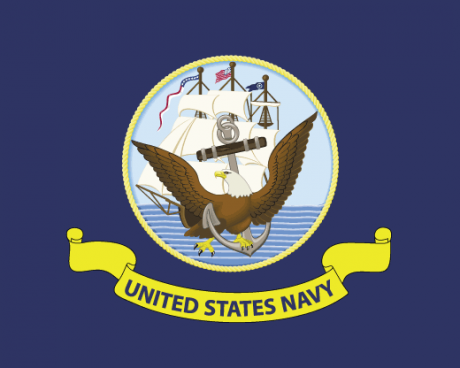 Some military flags honor the service of all branches of the United States military. Whether they honor today's service members, or honor those of the past, flying a multi-service military flag is a great way to show support for everyone who serves. The POW/MIA flag is the most common military flag in the Unites States. 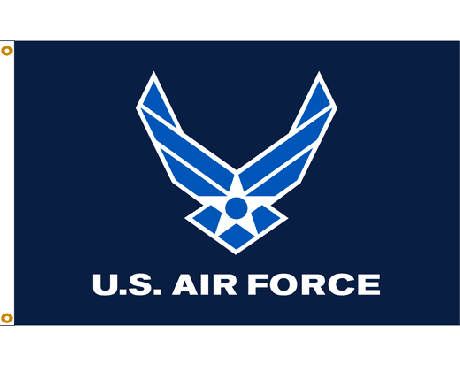 It is the only flag besides the American flag, with special flying rules in the USA. Its iconic prisoner of war imagery and the text "You Are Not Forgotten" makes it an essential addition to your patriotic display. The Wounded Warrior Project flag is a reminder of those who have been injured in service to our country. It is proudly made in the United States. 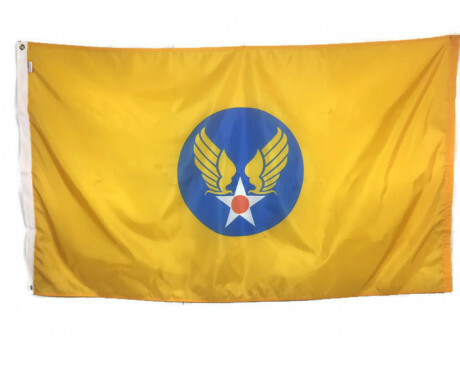 This flag will look great flying alongside your American Flag. Support your country and those who risk their lives to serve it. 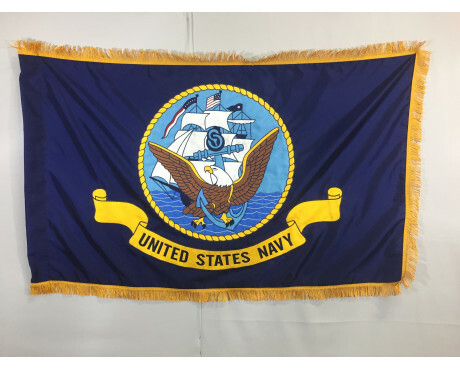 Our US Armed Forces flag displays all five of the US military branch seals on a single flag. 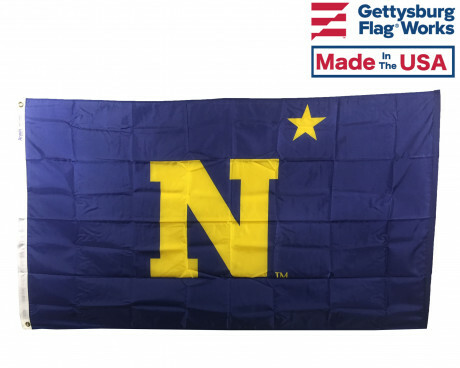 It is a popular way to honor all of our American heroes in a single military flag. 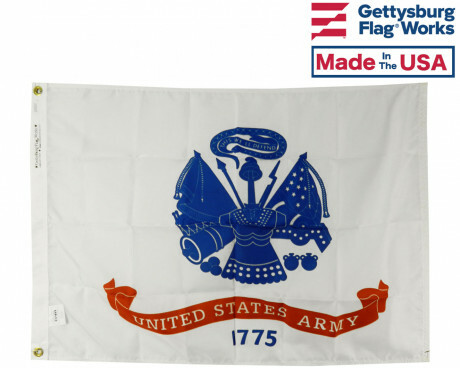 Order your armed services flags from Gettysburg Flag Works today and show your pride for our American heroes. Have questions about our products or can't find what you are looking for? Give us a call at 1-888-697-3524 or contact us online and we would be happy to assist you!